Combine tried and tested Barrio Fiesta Singing Cooks and Waiters Atbp's restaurant experience and Filipino cuisine, native-themed palaisdaan restaurant with an ambiance of native huts with Buddhist-inspired landscaping and you got yourself a satisfying meal and relaxing place called Isdaan Floating Restaurant. Located along Gerona, Tarlac portion of MacArthur Highway where Tutubi passed by so many times in the past but never actually visited. This time, his officemates, coming from Camp John Hay in Baguio City, acquiesced to drop by for late lunch at the popular palaisdaan floating restaurant in Tarlac. 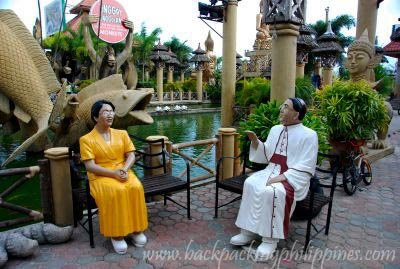 This place is half-way to Baguio, and other northern provinces making it a popular stop-over for road trips reachable from Manila via NLEX, SCTEX and Tarlac City. From MacArthur Highway, one can see the giant Buddhas, fishes and other Buddhist-inspired statues and mythical creatures that remind you of Buddhist nations of Southeast Asia like Thailand, Vietnam, Cambodia, and Laos if you've ever been to one of them. 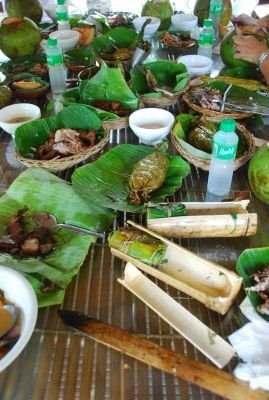 Price of food at Isdaan Floating Restaurant is only slightly lower than Barrio Fiesta restaurants in Manila but worth it due to the relaxing atmosphere, beside rice fields with fresh air, conducive to sleeping after a heavy meal. Note the place is dangerous for playing kids to roam around unattended so better stick to the restaurant's policy of using life vests for hyperactive kids. Be careful also when stepping on or leaving the floating huts, this is specially for non-swimmers as you can get a splash of your life there. Talking about negatives, their non-acceptance of credit cards -- it's a cash-only establishment so better bring wads of cash before visiting the restaurant. 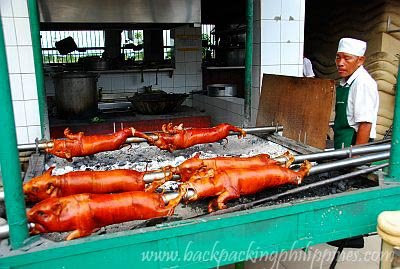 Budget about PhP300.00 and up per person and you'll really have a really nice meal. The establishment seems to be almost always full, attracting families of tourists and balikbayan so be early in order to get your desired seat/hut in the place. 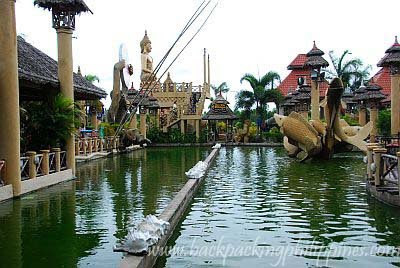 Directions to Isdaan Floating Restaurant is easy, just follow this route: NLEX, SCTEX, exit at Tarlac, turn left going to Tarlac city proper and Hacienda Luisita then right on MacArthur Highway. Continue until you reach Gerona where the restaurant can be seen on your left. Travel time is about an hour from NLEX Dau exit entering SCTEX. Update August 2010: there's an on-going construction of Isdaan restaurant in Bay, Laguna in between Kamayan sa Palaisdaan sa Bay and Samaral Seafood Restaurant. No information on opening date though. 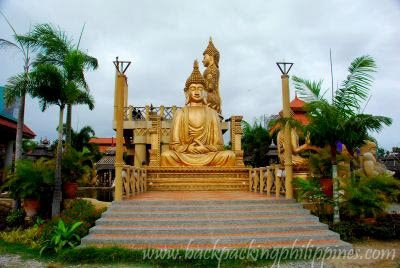 UPDATE: November 2011: Isdaan Laguna is now open for business. No information yet on Isdaan telehone number for reservation nor contact person. Is it my connection, or your site is really loading slow? That is really taking the dining experience to another level. Guess I was just exhausted from all those activities in Paete! wow this looks interesting! thanks! unique restaurant setting ! Nice to know it's also environmentally friendly. I like the looks of those cholesterol loaded sucking pigs ! may i inquire about your wedding packages? I'm planning to have a very romantic dinner with my girlfriend. 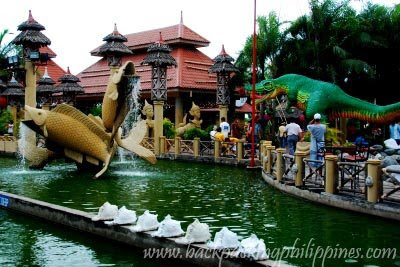 Can Anyone tell me how to get there in Palaisdaan - Tarlac. what is their contact no.? contact number po? at bukas ba kayo this holy week? same in Isdaan, Calauan Laguna? 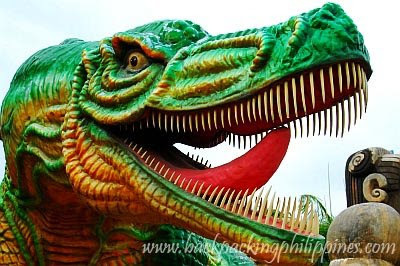 andaming negatives comments about Isdaan Laguna, How 'bout Tarlac? 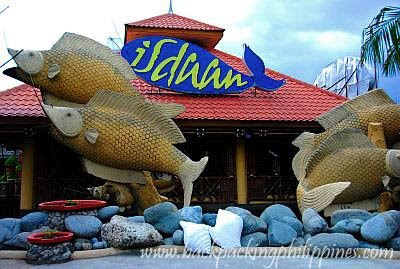 Is it same Isdaan, Calauan Laguna? Lots of negatives comments about it. How 'bout in Tarlac? How's the service of the employees? Pede overnight? Any room for rent?